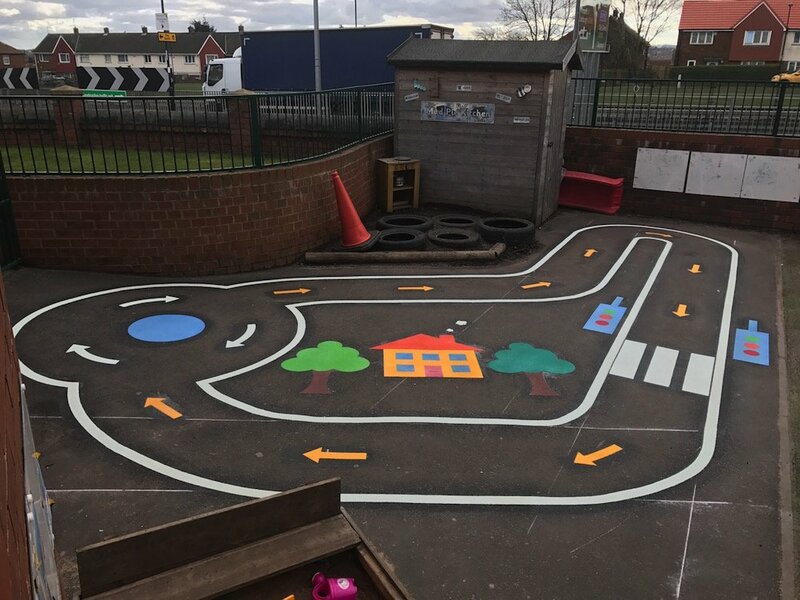 first4playgrounds have just completed a substantial thermoplastic installation of playground markings and sports court markings at Peter Lea Primary School in Cardiff. 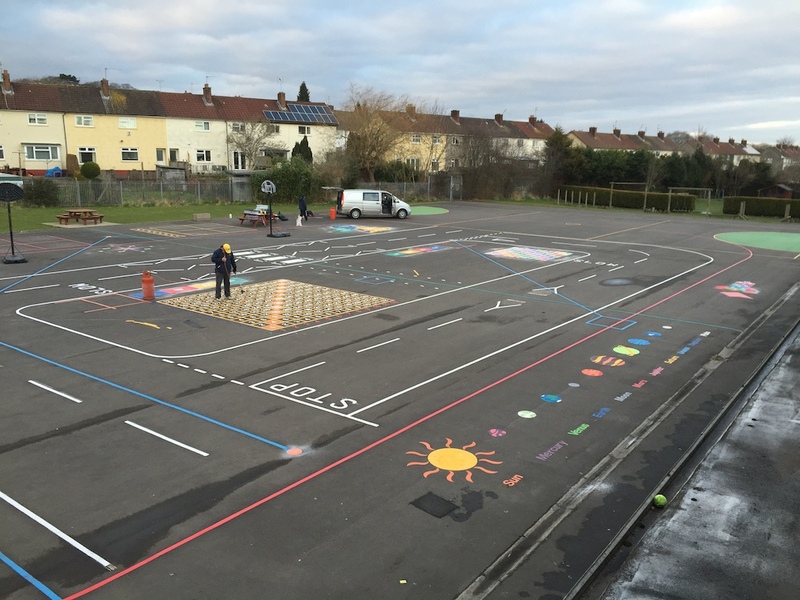 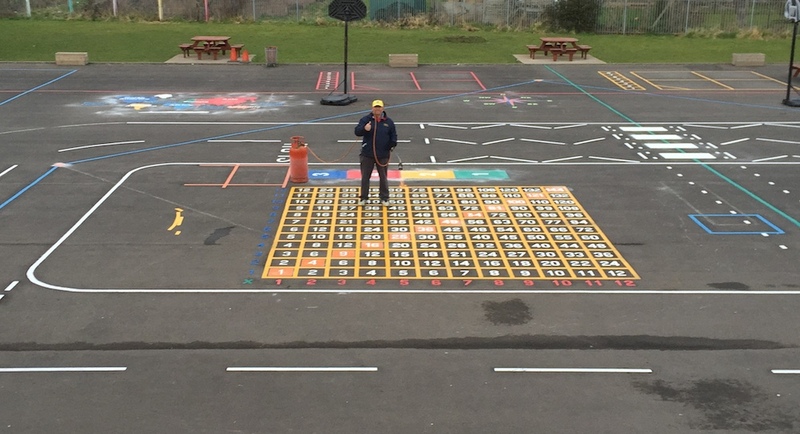 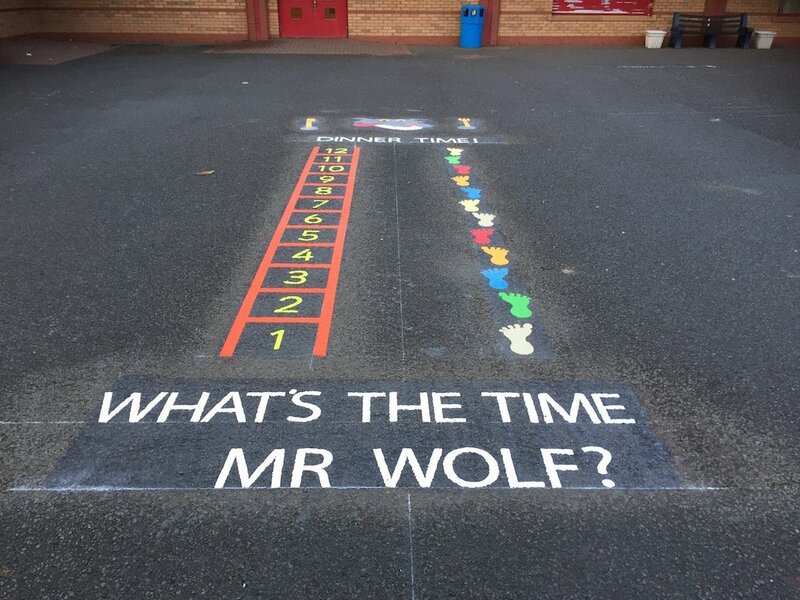 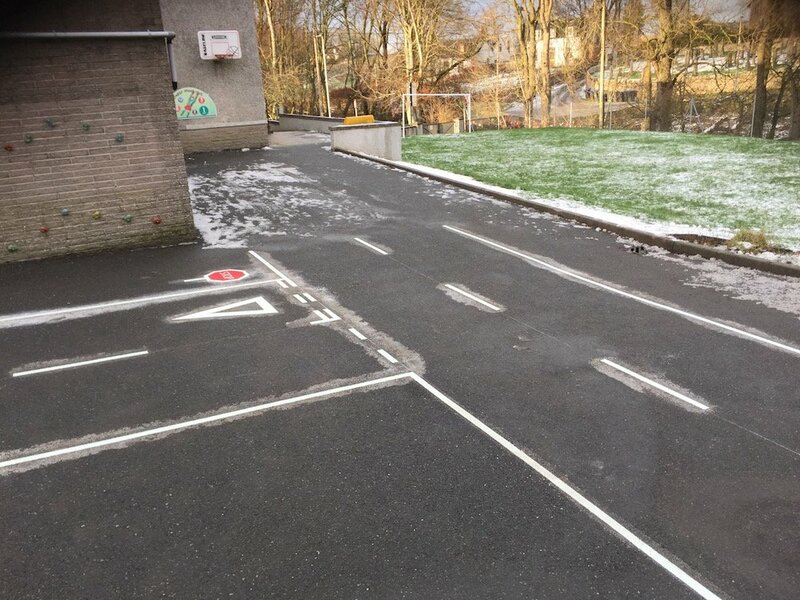 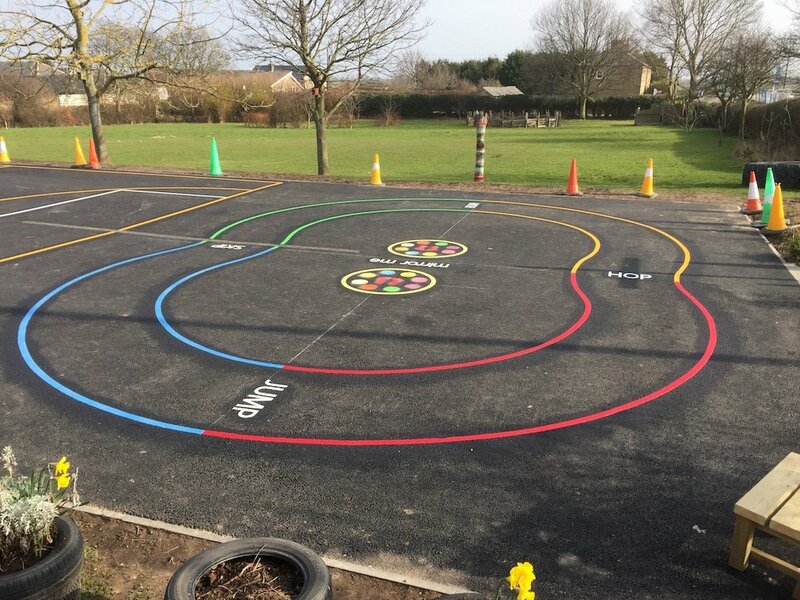 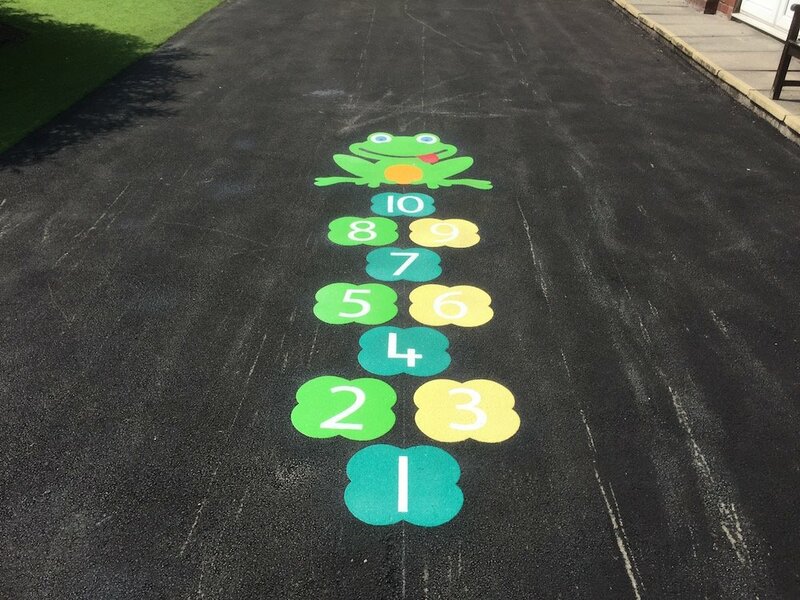 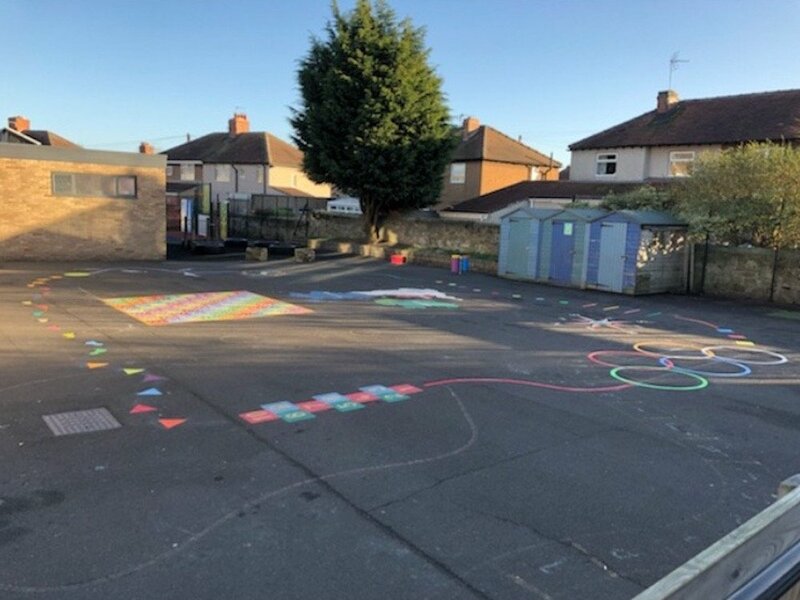 The playground design was a prepared by the school teachers and school council to include some sports court markings, a number of traditional markings and some bespoke markings. 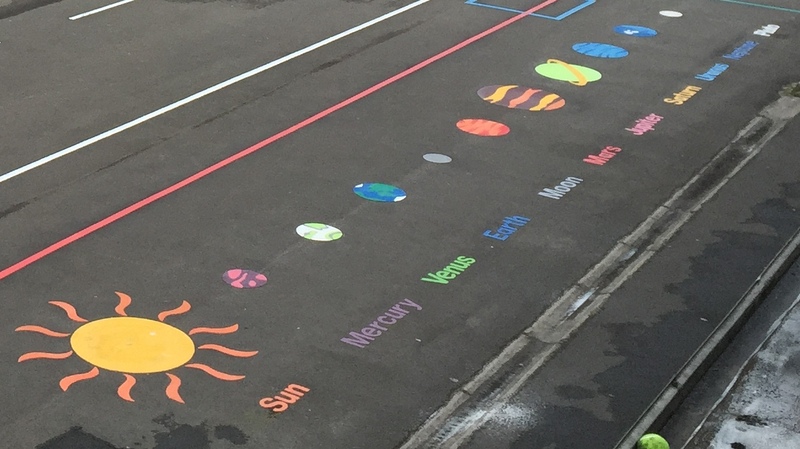 The markings included a word map showing the continents and oceans, a UK map, the planets of the solar system which will be used for science and geography lessons. 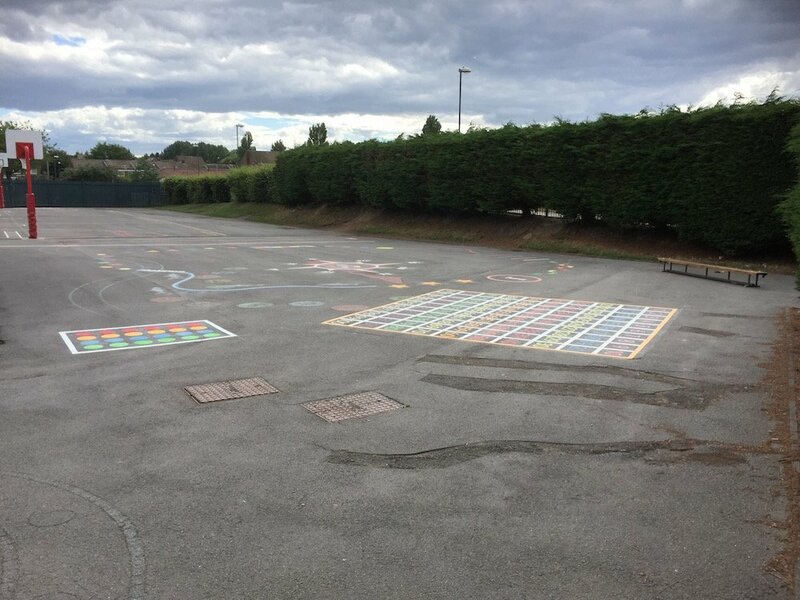 For maths lessons we provided a 1-100 solid grid for the younger children and a 12 times table line grid for the Key Stage 2 children. 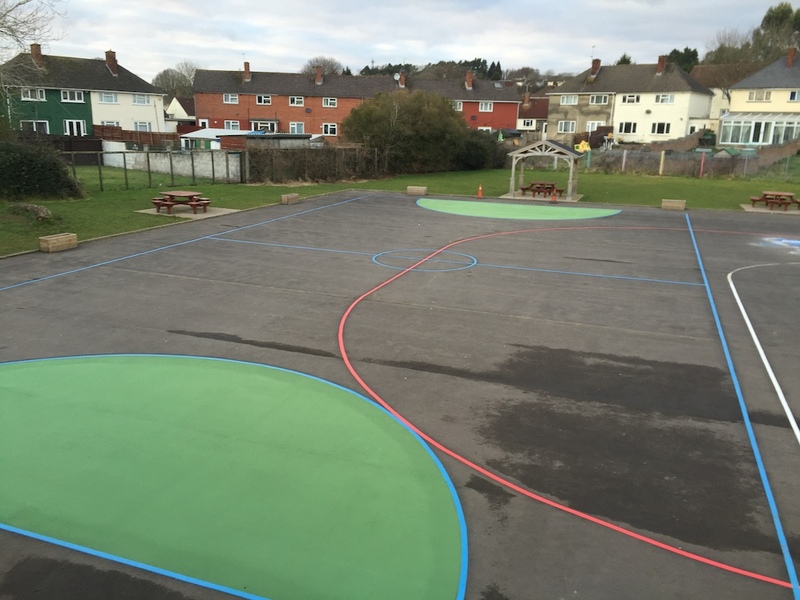 For the PE lessons we installed a rounders court, cricket pitch, football pitch and netball court. 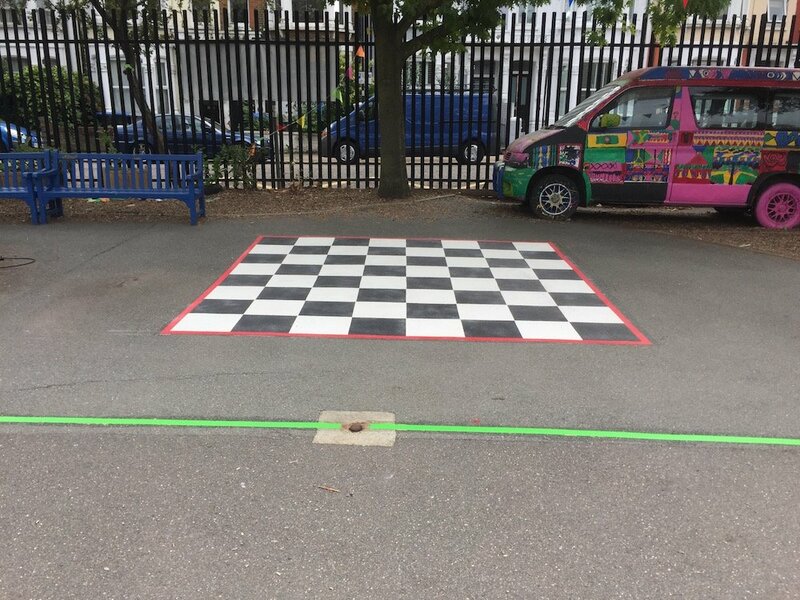 To make the goal areas stand out we painted the tarmac with a high quality water-based acrylic coating for macadam supplied by Britannia Paints.